“You’re iT” was the theme of this year’s Cisco Live 2017 in Las Vegas, along with a Cisco superhero influence. This being my fourth Cisco Live (CLUS) in person, I still managed to somehow miss the NetVet Status. That aside, the event still contained all of its awesomeness with or without the status. This year was full of really smart people from all over the world. People that actually make cool “stuff”. In the words of Peter Jones @Cisco, “I like to build stuff that gets used”. This year was special for me on a few fronts. First: The Opening & Closing Keynotes. This year, Chuck Robbins took to the stage right away. A shy departure from past keynotes where you would see SVP’s do an opening act so to speak. Then came the WOW factor when Tim Cook from Apple joined Chuck on stage. The audience was shocked, a surreal moment so to speak as CLUS attendees would never have thought someone like Tim would show up on stage. But, in true Apple fashion “shock and awe” is what they delivered. For more on this, head over to Tom Hollingsworth’s latest Blog. Second: I was really looking forward to getting to a tone of sessions. One, in particular, was BRKARC-3467: Cisco Enterprise Silicon – Delivering Innovation for Advanced Routing and Switching. Hosted by Dave Zacks and Peter Jones. These guys are a great networking duo that brings a fresh look at whats happening behind the scenes at Cisco. You don’t often hear about how things are made and these two deliver in a style all their own. I’d like to mention that I have known Dave and Peter for many years, and it’s always a pleasure to see them present. I sure hope Peter joins Dave on the Distinguished Engineer list soon. He’s got my vote! Third: Customer Appreciation Events, A New Cisco Live Hat, Bruno Mars… Enough said! Let’s not forget fellow #hoser, Rob Boardman. Who single-handedly gave new life to TheCiscoHat and printed a whole body on a 3D printer. Who’s now known as Figus? Ingenuity at its finest. What made this year standout more than ever was meeting up and travelling with a great bunch of geeks from CLUS 2016. That event was one of the best years on record for me as I met some great people. 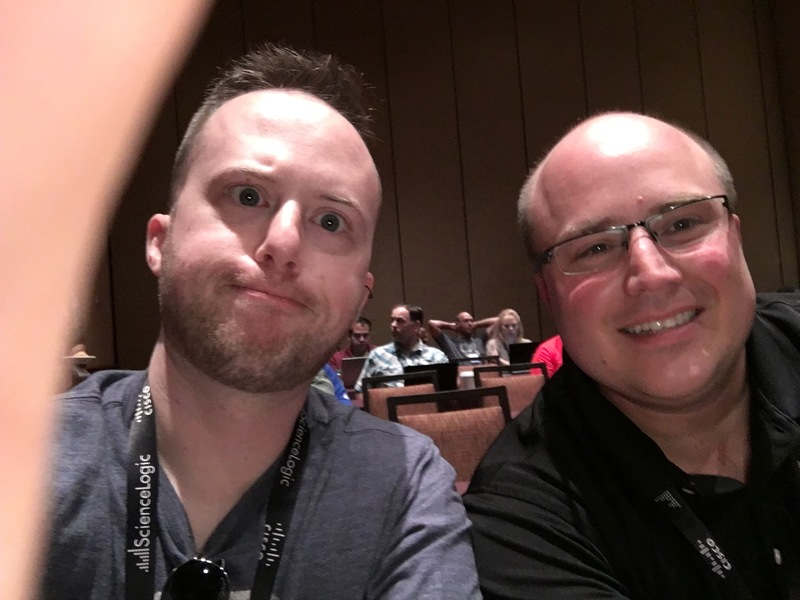 I found my inspiration for writing this blog at 2 AM on a Sunday morning from reading a blog recap of CLUS 2016, by none other than Brennan Martin. Go figure. “The biggest surprise though, would come from closer to home than expected, when I had the pleasure of meeting another fellow Canuck and Wifi guru @wirelessstew! It’s true. You “Enter As Strangers and Leave As Friends” That should be the slogan to CLUS 2018. Because that’s exactly what it is! No other event brings like-minded geeks together on such a large scale and makes it fun for everyone. It’s the everlasting bonds of friendship that last a lifetime. PS:. Mitch, Steve & Mckim, if you are reading this let’s make sure the whole gang gets back together again. Never miss another Summer Camp, cause we all missed you. Previous Post One in one hundred and fifty three quintillion.